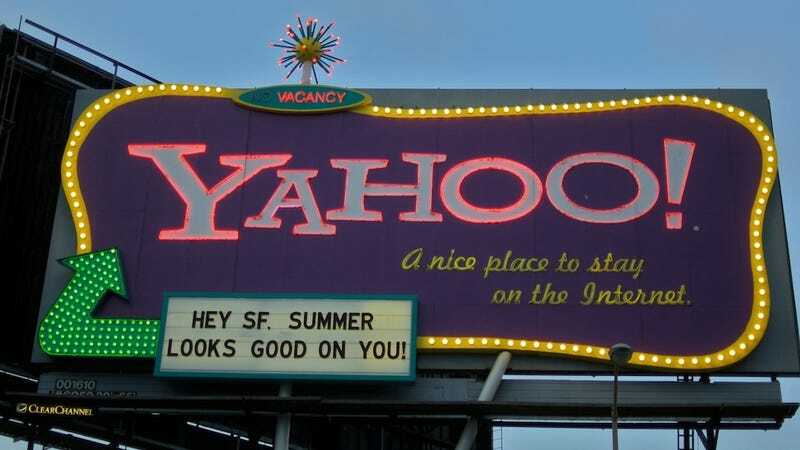 On Monday, Yahoo won a court fight that will force the government to disclose secret information about a 2008 case that required Yahoo to hand over customer data. It's icing on the cake for Marissa Mayer, who celebrates her one year anniversary at Yahoo this week. But more importantly, it could give us our clearest look at PRISM's inner workings yet. The government's been cagey, though, hiding behind the court's inherent secrecy. Apparently, however, nobody told the president. Last month on Charlie Rose, Obama defended the court's track record of granting surveillance privileges for everyone that asks, while not disclosing a single detail about who's making the requests or what they're doing with the information. "It is transparent," President Obama said. "That's why we set up the FISA court." Well, no it's not transparent, Mr. President. It's a secret court. That's the opposite of transparent! Fortunately for America and for freedom, the tables are starting to turn. And again, this doesn't happen that often. The last time that the FISA court ordered the government to give up information about a case was in 2002 for a Patriot Act case involving Donald Rumsfeld. While it's tough to speculate why the FISA court's opening the kimono after over a decade in the dark, it's undeniable that it's dealing with heavy criticism in the wake of the PRISM revelations. At the present, there are no less than five cases in federal court that have been filed since Snowden's big reveal.